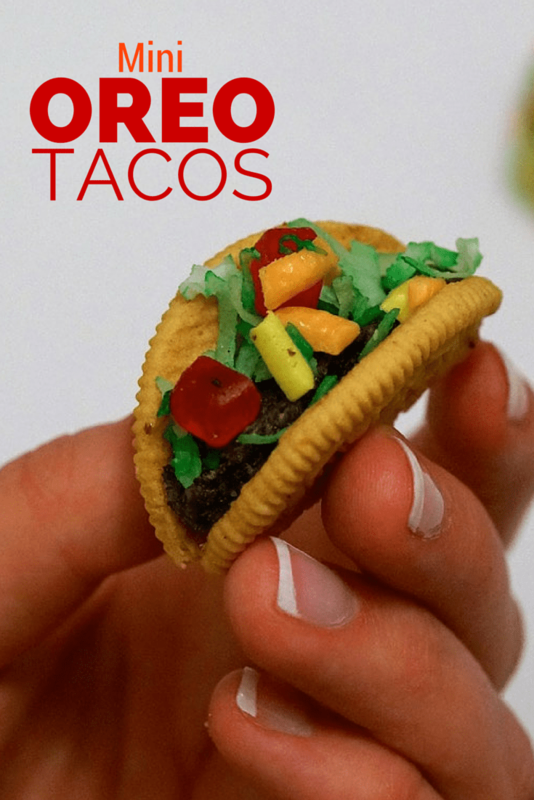 Cinco De Mayo is coming up, and what is a more perfect treat than these adorable Oreo Tacos! I saw this super popular post going around Pinterest by Erica’s Sweet Tooth, and I knew that I had to make this for Cinco De Mayo. I followed the basis of her recipe, but switched out a few ingredients to ones that I liked a little bit more. 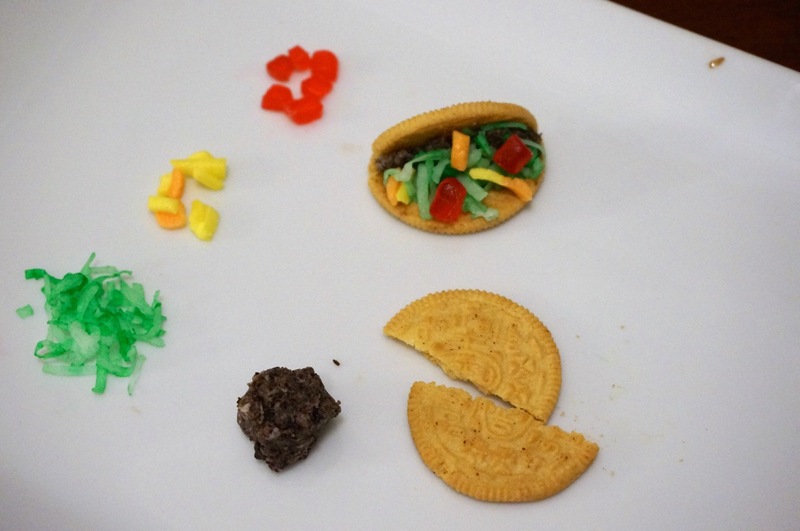 This was actually the hardest part for me because the Oreo kept splitting into 3 pieces (if this happens, don’t worry because your “taco meet will help to keep it together), I also found that it was easier to do with your hands, rather than a knife. 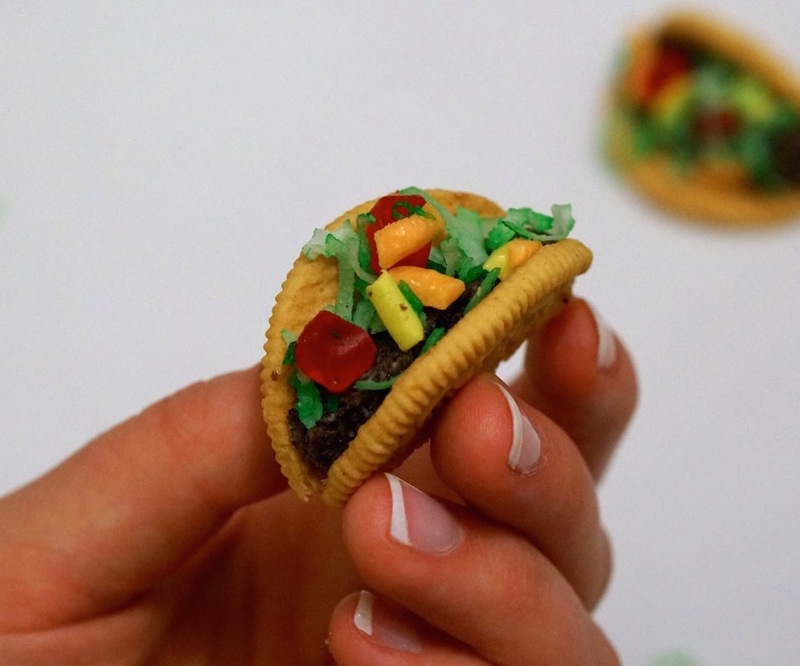 Once assembled, you have these adorable mini tacos! 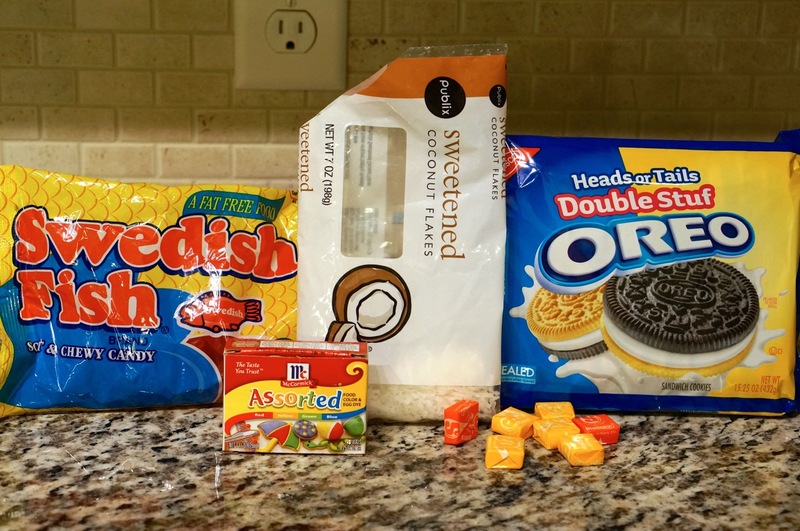 These are pretty easy to make, but they will take time if you are trying to make them in bulk. If you are making more than 10, I would recommend finding a friend and making an assembly line. Also remember that if your taco shell oreos keep breaking in the wrong place you can stick them back together using your Oreo/”meat” mixture. The reason I decided not to fully revoke shenanigans is because of the difficulty of breaking the Oreos perfectly in half. If you come up with a better way please let me know!